An article posted in the Globe and Mail discusses how Canada is falling behind in global science and technology race. What can be done to fix this? Read the article below for more details. Without more support for industry investment in research and development, Canada will be hard-pressed to keep up with international competitors and will risk an erosion of its economic well-being, a benchmark report on the state of the nation’s science and technology landscape has revealed. The report is the latest in a series of biennial reviews from the Science, Technology and Innovation Council, an 18-member panel that the Harper government created in 2007 to replace a range of science policy advisers and bodies. Its findings indicate that Canada has dropped in rank from 16th to 23rd in overall expenditures on research and development relative to GDP compared to other economically developed countries. Among the indicators where Canada is falling behind or could do better, the report identifies the number of doctorates awarded in science and technology relative to the total population, the fraction of Canadians working in science and technology, support for research in academic institutions, R&D investment by the private sector and spending on information and communication technology in support of innovation. The report’s release on Tuesday coincided with another briefing in Ottawa in which Gary Goodyear, the Minister of State for Science and Technology, announced the awarding of $413-million for basic science through the National Science and Engineering Research Council. The announcement does not represent new money but rather the allocation of funding already in NSERC’s budget. With the government facing criticism in recent weeks that it has skewed Canada’s research priorities too far in the direction of applied research with short-term commercial goals, Mr. Goodyear insisted that federal support for basic research is strong. James Turk, executive director of the Canadian Association of University Teachers, agrees that Canada needs a balanced approach to funding science across the spectrum, but says funding for basic, blue-sky research in real dollars is down and the government’s announcement doesn’t change that. “It’s trying to give the appearance of something without the reality,” Mr. Turk said of the funding announcement. Mr. Goodyear said that the STIC report showed the government was “on the right track” in its efforts to push for a stronger relationship between academic research and industry, including refocusing the work of the National Research Council to aide business with problem-specific research. The report recommends more emphasis on direct government support for industry-driven research instead of indirect support in the form of tax credits. It also stressed how competing nations typically have a more integrated framework in which government, universities and industry work together to maximize returns on investment in science and technology. Paul Dufour, an adjunct professor with the University of Ottawa’s Institute for Science, Society and Policy, said it is not clear what elements of the report – if any – the federal government will take up in earnest. He noted the government has not reported on or revised its own stated science and technology policy since 2009, and added, “I think it would help the debate in this country and move the agenda forward” if it did so. Does your organization need better speakers and leaders? Thousands of organizations and corporations take advantage of Toastmasters International’s proven education program. Join us tomorrow (Thursday, May 16th) in the VITP Conference Room at 5:00pm hosted by Genologics. Employees will learn to: communicate clearly with customers and each other, speak up with confidence, organize well-run meetings, lead teams, mentor others and provide constructive feedback. Leap Web Solutions has launched another incredible website! Leap Web Solutions has launched their latest website for Go Box Organics, and it looks fantastic! Leap was responsible for the Brand Development, Web and E-Commerce for Go Box Organics and with their track record it’s sure to have a successful impact. Get in touch with Leap Web Solutions if your looking for the best quality web solutions around, you will not be disappointed! Have a look at their website and contact Neil today! VITP featured in BC Local News! VITP was recently featured in a “2013 Progress Report” in the Saanich News and it’s just been re-posted online with BCLocalNews! VITP management was excited to be part of this annual report that features local businesses and offers a glimpse into what their futures hold. Check out the article below to see what we’ve been up to! Their business is technology and business is good. 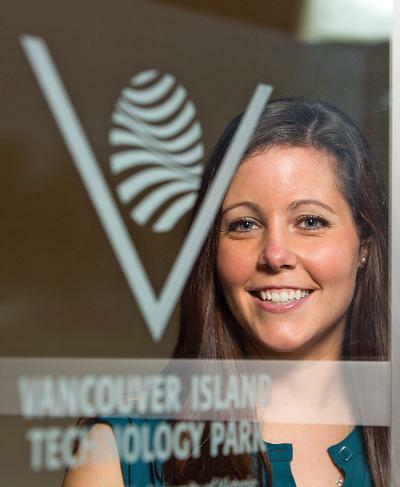 The Vancouver Island Technology Park rolled into 2013 with new companies, new ideas and a new leader on the way to take over one of the region’s biggest economic drivers. The controller for the University of Victoria properties took over administrative duties from former president Dale Gann whose position was eliminated in lieu of an as yet unfilled chief executive officer position expected to handle all UVic’s non-academic real estate, including the 14-hectare VITP and Swans Hotel and Brew Pub among others. The restructuring sees the search for a leader continue while tech companies continue to seek out the tech park – evidenced by eight new companies joining the fold, raising the numbers to more than 30, despite a flat economy. With plans for two new phases and a new 80,000-square-foot facility awaiting the economic growth to green light the project, Jones says the park is ready to take the next step, but waiting for the right market conditions. While the nature of the tech sector has most employees working quietly behind closed doors protecting industry secrets, the park’s marketing co-ordinator Melanie DeCorte envisions a day when residents and visitors alike see Victoria as much for the tech as for the tourism. A UVic economic impact study released last year estimated the park generated $317 million to the Canadian economy and supported 2,000 direct and indirect jobs, and helped make high-tech surpass tourism as the region’s largest industry. VITP only plans to add more office and lab space to the 191,000-square-foot facility, including plans DeCorte can yet divulge. In coming years she estimates number of companies under the park umbrella will close in on 40 to 50, spanning medical and gene research, telecommunications, software development and marine science technology. Congratulations to RevenueWire and HP Advanced Solutions for being nominated for the 2013 Technology Awards! VIATeC selected its 38 finalists for the upcoming Technology Awards and two VITP companies have made the cut! RevenueWire is nominated for Technology Company of the Year and HP Advanced Solutions got a nod with Nadine Harrison being nominated for Executive of the Year! For more details on the Technology Awards and to view the article in full as posted in the Times Colonist and on VIATeC’s website click here. Tickets to this event are still available at www.viatecawards.com. Last week I had the opportunity to sit down with Rick Gerbrecht, President and CEO of ATLAS ELEKTRONIK CANADA to get the scoop on what they have happening behind closed doors, and do they ever have lots of exciting news! Besides just being named one of Canada’s top 50 Defence Companies by the Canadian Defence Review, Atlas has also expanded its offices at VITP and added a new member to the team, Kristy Seiler who has taken on the role of Administrative Office Manager. Welcome to the park Kristy! First of all. let me give you a brief description of ATLAS ELEKTRONIK CANADA who is a company of the ATLAS ELEKTRONIK Group. ATLAS ELEKTRONIK CANADA Ltd serves the Canadian market with a specific focus on Command & Control, sonar, and unmanned vehicles. ATLAS ELEKTRONIK CANADA is strategically located in proximity to the Royal Canadian Navy’s Pacific Fleet and a National Shipbuilding and Procurement Strategy (NSPS) designated Shipyard and is capable of providing any of the ATLAS Group products as well as a broad range of associated technical and logistics support services for the entire product life cycle. Atlas is part of the National Shipbuilding and Procurement Strategy and is involved in the integration of systems of ships. As a member of CADSI (Canadian Association of Defence and Security Industries), Rick will be representing Atlas with their very own booth at the CANSEC (Canadian Securities) tradeshow at the end of this month in Ottawa. This is a great opportunity for Atlas Canada to showcase their company and allow it to continue to develop in the market. I asked Rick for some feedback of being part of the community at VITP and he spoke to the advantages of working in an environment that has allowed him to constantly work alongside like-minded companies and really gain recognition in the market through being associated with VITP. He is grateful for the growth potential and the ability to expand and says Atlas Canada is “working proof” that small companies can be successful on an international scale. Some of their strategies for the next year include targeting initiatives to support indigenous growth and positioning smaller programs within the Canadian navy in anticipation of larger value ship building programs. ATLAS ELEKTRONIK CANADA is very engaged in the community and are active in working with local suppliers whenever possible. VITP is very proud of Rick and his team for all that they have achieved and know that this is just the beginning; keep an eye out for big things in the future from ATLAS ELEKTRONIK CANADA! Check out their brand new website here! ATLAS ELEKTRONIK CANADA named in the top 50 Canadian Defence Companies! Congratulations to Rick Gerbrecht and ATLAS ELEKTRONIK CANADA for being named in the top 50 Canadian Defence Companies from the Canadian Defence Review! VITP is extremely proud to house such a dynamic, international company who continues to expand and gain the recognition it deserves. This is a great honour to be included in this list, so a big congratulations to Rick and his team at Atlas! What is the selection process for the CDR Top 50? An evaluation panel consisting of CDR editorial staff and independent advisors rank the companies annually based on factors such as economic impact to the country, research & development initiatives, innovation, contribution to the nation’s security, national and international contract wins, excellence of management and support of Canada’s military. The ranked companies must meet certain requirements, including having manufacturing, R&D or service operations in Canada, to be included in the survey. Companies with representative or distribution offices only do not qualify to be included. For more information on ATLAS ELEKTRONIK CANADA click here. To see the full list of the CDR top 50 visit their website. Read this article that was posted on techvibes.com to hear why peer-to-peer networking is key to growing your business. This happens to be one of the major benefits of the working environment at VITP where the opportunities for networking and building connections with like-minded individuals are endless! Canada has all the ingredients necessary to create world-class companies. Knowledge sharing and community engagement will play essential roles in keeping innovators, influencers and entrepreneurs north of the border. As will a little maple syrup. It’s been said countless times: without strong leadership, education and a supportive community, we stand to lose our best entrepreneurs to the US and elsewhere. Recently, you may have read about the rise of Vancouver’s Maple Syrup Mafia, a nod to Silicon Valley’s PayPal Mafia who built substantial exits into an entire startup ecosystem almost overnight. The Maple Syrup Mafia is a movement about sharing wealth and giving back; about building strong Canadian businesses, then leveraging this strength to successfully launch the nation’s next generation of entrepreneurs. When our business leaders commit to bringing their expertise and global network back to Canada, their contribution to growth in our economy is significant and immediate. A Vancouver-born serial entrepreneur myself, I applied my 13 years’ experience with the world’s top conferences and tradeshows to the problem of how to keep Innovators in Canada. I saw an opportunity to rethink the way connection and collaboration happen and to create a new way. That’s how Founders Collective was born. Founders Collective’s sold-out inaugural event was designed to fill a need other events were missing—it carefully mixed tech-based startups with non-technical entrepreneurs not from one sector, but rather from diverse industries. The all-female guest list united successful restauranteurs, tech startup founders, realtors, social venture partners, boutique owners, digital agency CEOs, Senior VPs, VCs, angels and recruiters. These companies are leaders in their fields. Combined they are creating thousands of Canadian jobs annually and their CEOs represent the best of world-class innovation. But we need more. My goal is to create unique experiences that serve as platforms for exploration, inspiration and connection. I believe firmly that facilitating authentic and meaningful relationships between Entrepreneurs is the secret sauce for growing, and keeping, innovation in Canada. April’s women-focused Founders Collective conference was the first such experience. And hundreds of thought-leaders and disruptors have already signed on to our waitlist, eagerly anticipating round two. With several new concepts and some exciting strategic partnerships also on the horizon, I can reiterate that fortune favors the brave. Simply put, it’s not just about ideas. It’s about making ideas happen. 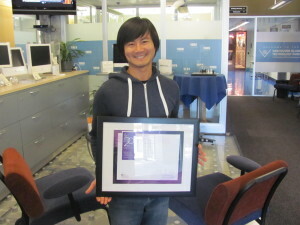 Neil Tran was a 2012 finalist for “Top 20 Under 40” in the Business & Community Achievement Awards! 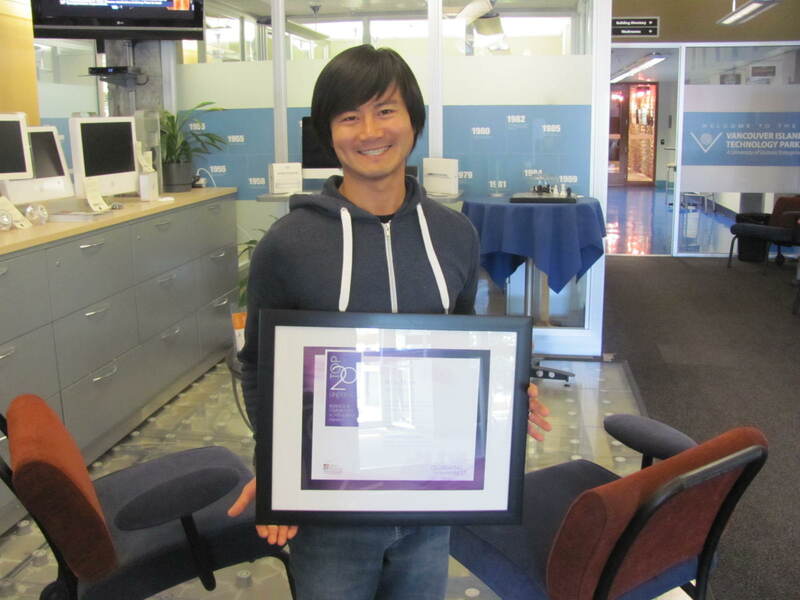 Congratulations to Neil Tran, owner of Leap Web Solutions Inc. for his achievement in being a finalist for Vancouver Island’s Top 20 Under 40. This award recognizes excellence in Business Judgment & Leadership and for contributions to their Communities on a local and regional level. Finalists have exhibited outstanding Achievements, Business Experience, Innovation, Leadership, and Community Involvement. Congratulations to Neil on this honour, we know we will be seeing lots of these awards and recognitions in the future! For a full list of winners as well as the 100 finalists, click here.